The conventional view of waste is that it's not worth anything to anyone, which is why it gets thrown away in the first place. But waste is more complicated than that. Some waste cannot be safely or economically disposed of here in the UK. There's an entire industry devoted to moving waste abroad for suitable disposal. This isn't the sort of rubbish you throw in your kitchen bin. Sometimes the waste might be radioactive, or contain hazardous chemicals. Sometimes it might be organic matter that could include bacteria. Sometimes it might contain elements that can be recycled, if sent to the right sort of facility. So there are rules that cover what can be exported to which country. If you're a business working in the waste export trade, you need to know which rules apply to which shipments of waste. Adam Wallace and Niki Wycherley joined the Environment Agency as apprentices last summer. They're the first to admit that they were thrown in at the deep end when they were given one task: bring the waste export controls service up-to-date. Neither of them had ever typed a line of code in their lives. They had to learn everything from scratch. This is exactly what the toolkit was intended for. It gives service teams like Adam and Niki a set of useful tools they can build their service upon. 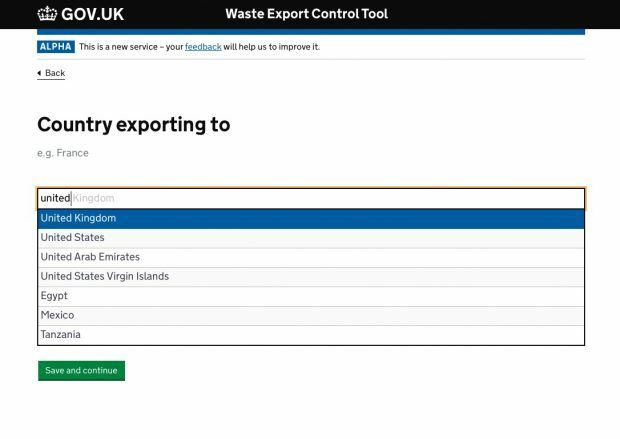 The new service asks exporters what waste they intend to export, and where they want to send it. 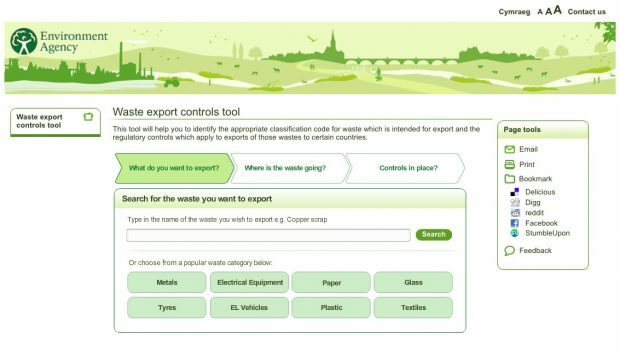 Then it shows a simple results page, spelling out clearly which of the 4 waste controls applies, and telling exporters what they must do next. As well as a modern new front-end, the pair have also built a separate web-based backend for managing and maintaining the database of waste products. Now, officials can sign in to a simple web form to edit existing database entries or add new ones. With no previous experience, they have built an alpha that directly addresses the problems posed by the old, Flash-based web service. "If it was easy, it wouldn't be fun"
That’s what Niki said about the last few months of work. He and Adam admitted to feeling almost overwhelmed at times. There were times when nothing worked and they felt like giving up. Adam said that at one stage, they sat down and decided to re-think everything from scratch, stripping out as much as possible to narrow the focus of the service and make it as simple as possible. They’re also very conscious that they still haven’t done everything necessary to pass a Service Assessment. There are still many aspects of the Service Standard that their alpha doesn’t meet. But that’s what they have on their todo list next. We are hugely impressed with what Adam and Niki have achieved, with support from their colleagues in Warrington and their mentor Paul Shaw. This is a terrific example of iterative delivery, and of using the Service Toolkit the way it was designed to be used. The pair have learned a great deal along the way, and Defra has benefited from their determination and willingness to get stuck in.